The Super Boat races were as much fun as they always are. 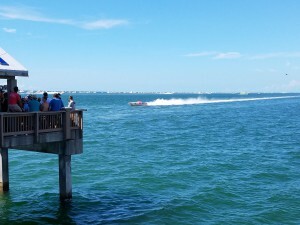 Tons of people show up along the beach and crowd onto the pier to watch the most powerful racing boats in the world roar by. You can hear the sound all along the beach and when you get close enough, you can feel the vibrations in your chest. This is an event that is worth fight the crowd for. 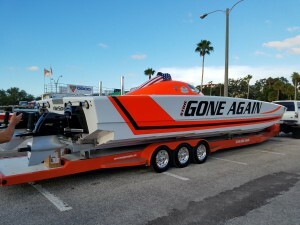 If you want to draw the event out, attend all three days, enjoy the boats on display in Coachman Park, and dine on the carnival style food available along the marina. 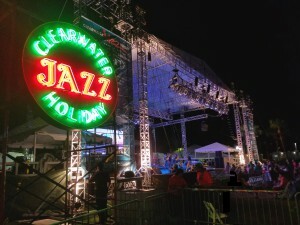 The Clearwater Jazz Holiday is a perfect excuse to lay out on your beach blanket in the park and listen to some music. 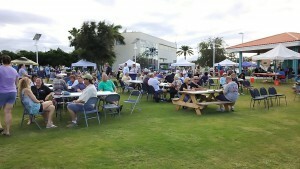 The greats of jazz appear to fill Coachman Park in downtown Clearwater with excellent jazz music. The event is a laidback yet exciting event, with daytime and nighttime music to enjoy. Clearwater Harbor provides the backdrop and a nice place to stroll either on the way or out. 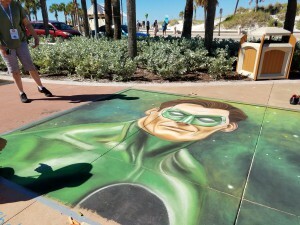 The Chalk Walk Festival is only a few years old but it’s already a favorite at Clearwater Beach. 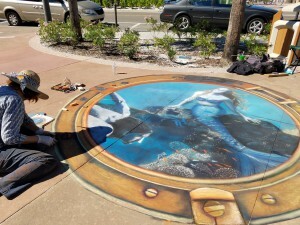 This event draws ample spectators to stroll down the Beach Walk sidewalks watching the chalk artists create intriguing images. It makes the beachfront stroll just that much more exciting to visit. While you’re there, the beach restaurants are right beside you and the white sands that made Clearwater Beach famous are just across the street. 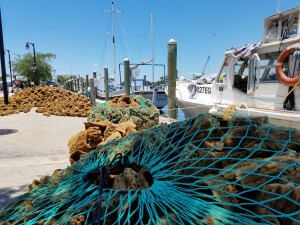 The Stone Crab Festival is another Clearawater Beach and regional favorite. While stone crab season is much longer than the two-day festival, this event brings the season to light and a whole lot of people together. Live bands, dining tents, and trinkets make this festival a hit. 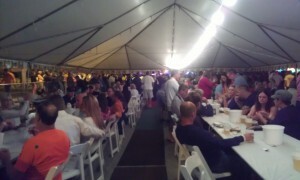 Several Clearwater Beach restaurants offer their own venues for the event. 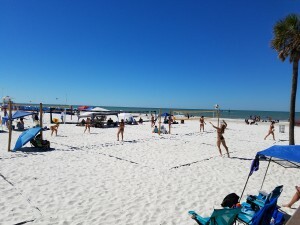 While a volleyball tournament at Clearwater Beach is nothing new, this one occurred during the Chalk Walk Festival and the Stone Crab Festival, rounding out the festival atmosphere at the beach. 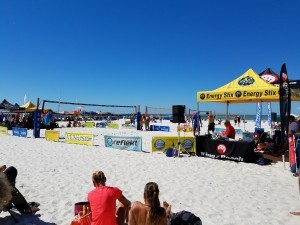 Set next to Pier 60, which runs a sunset festival of its own each night, the volleyball tournament drew in yet another dynamic for this top-weekend-of-the-year for Clearwater Beach. 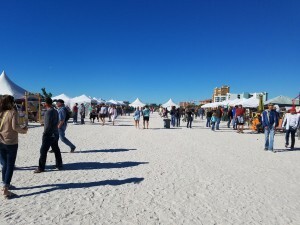 The Madeira Beach favorite tourist destination of John’s Pass Village and Boardwalk set up its own seafood festival again this year, including a Halloween costume contest in its midst. The food on display ogled passersby and satisfied anyone ready to chow down. A large dining tent included a live stage for a well-rounded experience. In addition to this fantastic foodie event were plenty of vending stalls plus the great shops and waterfront boardwalk that have made John’s Pass a coastal favorite for the region. 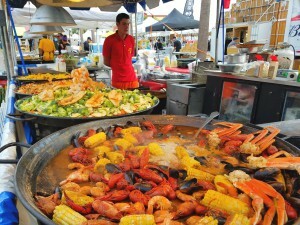 The Tarpon Springs Seafood Festival added the Greek flair for which Tarpon Springs is so famous. The fishing-town-gone-tourist-stop has plenty of gift shops to entertain you for hours, which made a fantastic venue for a seafood festival. This event allowed attendees to walk the street and choose from a wide array of seafood plus Greek food. 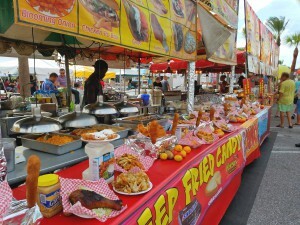 Taste of Indian Rocks Beach is a one day event that puts out a pretty big spread. Folks attending this event gathered in the park for this Saturday event in the beach town that still retains the feel of Old Florida while having no problem keeping up with today. This unique event took you on a ferry ride to an island that has oddly escaped fame. The sand and palm trees cover this island that sits right at the mouth of Tampa Bay, which is why it has the history it does. 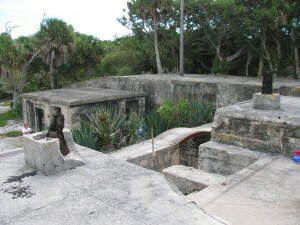 Military bunkers from the past as well as crumbled barracks make this island a fascinating place to visit. 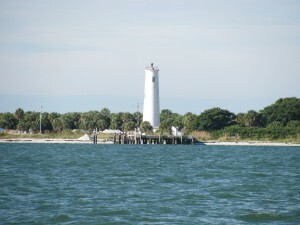 Once off the ferry you could inspect the old lighthouse, walk along sandy palm shaded trails, stroll the old brick streets where the barracks used to stand, and then explore the old military compound inside and out. 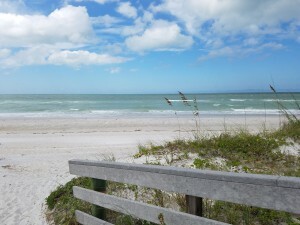 The Discover Egmont Key event was just a really good excuse to visit a place you should have checked out before anyway. The Chowder Challenge might be the best culinary event of the year, at least if you like chowder. Top restaurants of the region chip in to present their best chowders. Guests received samples of various types and then sat down to taste and fill out a survey sheet. At the end, you got to vote for your favorite chowders. If you love food, outdoor events, and especially chowder, this event was not to be missed. 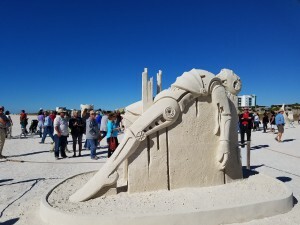 Sanding Ovation earns a place in the strata of events not to be missed on the Central Gulf Coast of Florida. The key draw are the sand sculptures made right on the beach at Treasure Island. On the last day of the event, the votes from visitors and sculptors determined the top sculptures for the year. This was one of the most entertaining events of the year for not only music but for beer tasting and souvenir shopping. Tents with Celtic themed items lined the field to explore between music sets. 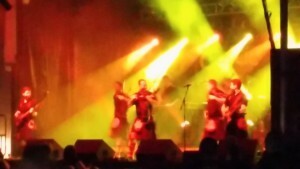 The Celtic bands were top notch and a whole lot of fun to watch. The later the night got, the wilder the music became. Add beer tasting to the mix, and, well, it was a lot of people having a lot of fun. Look for these local events coming to the Central Gulf Coast of Florida this holiday season.